The dance talent on Broadway this year is kind of mind-blowing. Shows right now are packed with top-notch choreography—and dancers who've got the chops to show it off. In theater after theater, we're seeing everything from ballet to tap to hip hop, salsa and beyond. So it's not surprising that the committee of the Fred and Adele Astaire Awards, which honors top dance talent in Broadway, off-Broadway and film each year, ran into trouble this time around: They simply couldn't decide on just one winner for Best Choreographer. 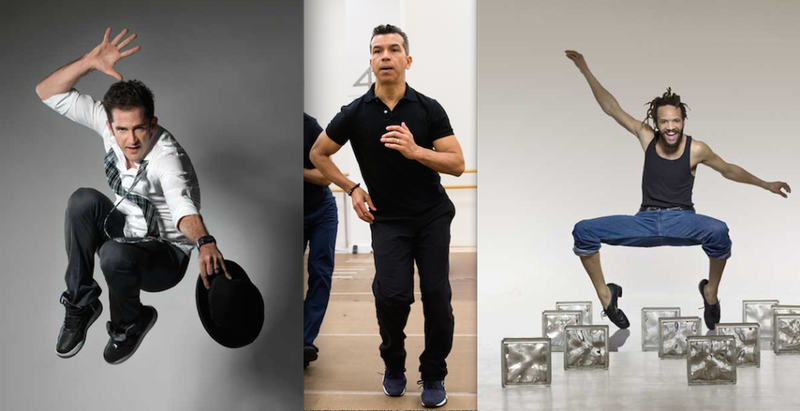 Instead, they split the award three-ways, honoring Andy Blankenbuehler for Hamilton, Savion Glover for Shuffle Along and Sergio Trujillo for On Your Feet. "We felt that it was such an unusual year for dance on Broadway that we gave three best choreography awards," Dance Magazine editor at large Wendy Perron, who's part of the Astaire Awards committee, told me. "We wanted to celebrate the bounty of good dance on Broadway." In a bit of an upset, Best Female Dancer went to Jane Krakowski (the hilarious actress from "30 Rock" and "Unbreakable Kimmy Schmidt") for her role in She Loves Me. Who knew she could dance, too? Take a peek at some of her moves at this performance on "The Today Show." Shuffle Along got some major love: Best Male Dancer was won by tapper Phillip Attmore, and he and his cast-mates took home Outstanding Ensemble. Hamilton didn't come out as strong as we might have predicted here—maybe people are finally feeling some Hamilton awards fatigue? Off-Broadway winners were Sayonara's Rumi Oyama (Outstanding Female Dancer), Cagney's Robert Creighton (Outstanding Male Dancer), as well as Connor Gallagher for The Robber Bridegroom and Paul McGill for The Legend of Georgia McBride (the two men shared Outstanding Choreography). The ceremony last night also included presentations for some previously announced awards. 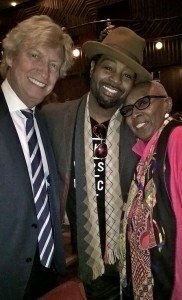 Judith Jamison, artistic director emerita of Alvin Ailey American Dance Theater, was honored with the Douglass Watt Lifetime Achievement Award, Nigel Lythgoe, creator of "So You Think You Can Dance," was given an award for Outstanding Contribution to the Field of Dance and tapper Maurice Hines was honored for his Outstanding Body of Work in Dance. Here's hoping that next year's Broadway shows are just as dance-packed. From what we've heard so far about upcoming productions, we just might be in luck.